If you are looking for a traditional Japanese blade with good quality and an affordable price, be sure to check out the Natural Wood Shirasaya with Lacquer Scabbard. This oriental sword features a classic, minimalist design. 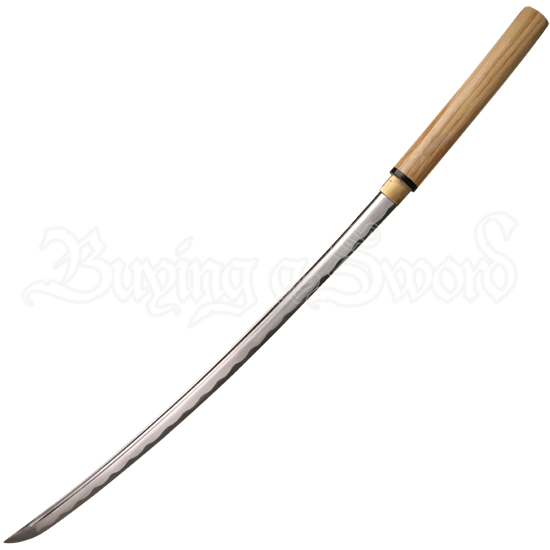 The functional katana is made with a carbon steel blade with a fuller. The natural wood handle matches the look of the lacquered wood scabbard, giving this Japanese sword an overall sleek appearance when it is on display. In addition to the shirasaya scabbard, the collectible sword comes with a black sword bag that is handy for storing or carrying the wooden shirasaya. Be sure to also check out our Black Wood Shirasaya with Scabbard (MC-TR-025BK) for an alternate coloration.